I wrote a post today regarding the imitation of our Lady's virtues. You can read it here. Can you think of any other virtues or qualities I may have missed? The following is from Listen, Mother of God! Reflections on the Litany of Loreto by Msgr. Charles Dollen. As the virtue of penance, with its fasting and self-denial, loses popularity, the indulgence of human nature leads to less and less happiness. If we cannot learn to say 'No' to ourselves in things we can have, how can we say 'No' to ourselves in things we cannot have? ...we live amid afflictions and troubles, and we turn to Mary, the Comforter of the Afflicted, for her powerful maternal help. She can be sympathetic since she knows what the human condition is. She has experienced it. St. Alphonsus Liguori gives a whole section in The Glories of Mary to the 'Dolors of Mary.' 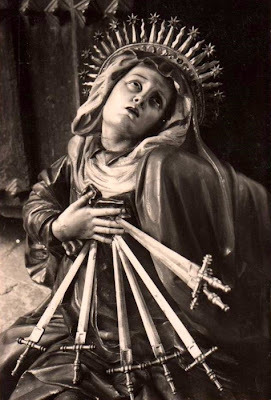 Her seven sorrows have prepared her, by experience, to be ready to help us in our time of sorrow. Close to Jesus to the last. Now at length the sword has pierced. Now Mary was a faithful witness, a participant, 'all His bitter anguish sharing.' Her Immaculate Heart was purified through her will to unite herself to the bitter agonies of His Sacred Heart. The scourging at the pillar was torture so severe that Christ usually referred to 'the scourging and crucifixion' together. The only pain He had suffered previously was at the Circumcision. Now He seemed to dread the scourging with particular concern. 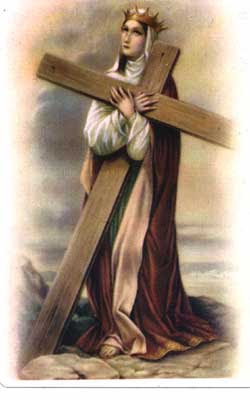 Mary's witness to t his, in the broken, bloody, bruised body on the cross, was n excruciating element of her own suffering. The Church applies to her the words at the beginning of the Lamentations, 'O ll you who have pass by the way, look an see if there is any sorrow like my sorrow!' Beyond any doubt, Mary learned to comfort others by what she suffered. "Mary...has a very tender love for the Souls in Purgatory. The 'Great Promise' of the Brown (Carmelite) Scapular is that on the Saturday follo9wing the death of a person wearing this emblem, she will come and release them from Purgatory if they are there. This morning, on the feast of the Nativity of the Blessed Virgin Mary, the humble Oratory of our monastery was the setting of a momentous event. His Excellency, Bishop Edward J. Slattery was with us for the the canonical establishment of the Daughters of Mary, Mother of Israel's Hope as a Public Association of the Faithful, in view of their becoming an Institute of Consecrated Life. Praise God! I have long been an admirer of Rosalind Moss. Her journey to the Catholic Church was indeed inspiring. Novena to St. Padre Pio - feast is Sept. 23 Start Today! Dear God, Thou hast generously blessed Thy servant, St. Pio of Pietrelcina, with the gifts of the Spirit. Thou hast marked his body with the five wounds of Christ Crucified, as a powerful witness to the saving Passion and Death of Thy Son. Endowed with the gift of discernment, St. Pio labored endlessly in the confessional for the salvation of souls. 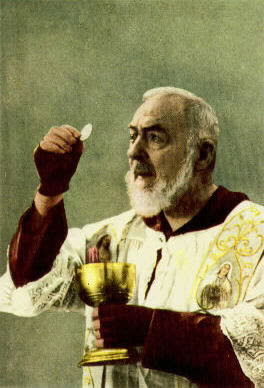 With reverence and intense devotion in the celebration of Mass, he invited countless men and women to a greater union with Jesus Christ in the Sacrament of the Holy Eucharist. Through the intercession of St. Pio of Pietrelcina, I confidently beseech Thee to grant me the grace of (mention your intentions here). Amen. Holy Mary, Virgin Immaculate, pray for us. St. Pio of Pietrelcina, pray for us. Beloved of God, pray for us. Imitator of Jesus Christ, pray for us. Good shepherd of the people, pray for us. Model for priests, pray for us. Light of the Church, pray for us. Adorer of the Blessed Sacrament, pray for us. Faithful son of St. Francis, pray for us. Marked with the stigmata of Jesus, pray for us. Patient in suffering, pray for us. Helper of the dying, pray for us. Director of souls, pray for us. Heart of gold, pray for us. Apostle of mercy, pray for us. Worker of miracles, pray for us. Consoler of the afflicted, pray for us. 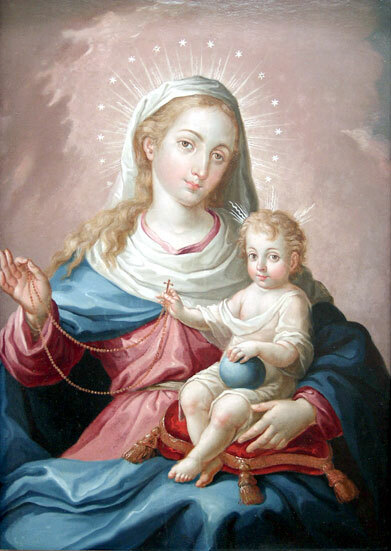 Lover of the Most Holy Rosary, pray for us. Helper of souls in doubt and darkness, pray for us. Comforter of the sick, pray for us. Example of humility, pray for us. Source of wisdom, pray for us. Mirror of the divine life, pray for us. Resigned to the will of God, pray for us. Doing good upon earth, pray for us. Filled with the spirit of self-sacrifice, pray for us. Our help and hope in all our needs, pray for us. Vessel of the Holy Spirit, pray for us. Leading us to Christ, pray for us. Our spiritual father and advocate, pray for us. Crowned with glory in Heaven, pray for us. image of Christ through a life of charity and self-sacrifice. St. Pio of Pietrelcina and by imitating his selfless love. Now depending on how the emails or status postings are on Facebook, I noticed it would set a tone for my otherwise happy early morning. Any troublesome emails or status reports would put me in a troubled mood or even a bad mood. Not a good way to start the day with the Lord. Then I started realizing that I was checking Facebook statuses a lot during the day and sometimes a status report would annoy me, and I have to admit...make me envious, or competitive, etc. These feelings were not helping my spiritual life at all! In fact, I noticed that the more I was on Facebook, the more I would be fighting temptations. My peace of mind was eluding me. The more I was on Facebook, the more time I was wasting. The more I was on Facebook, the less joy I was having in my day. 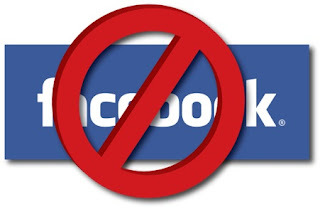 I knew that right now I could not delete my account because some close family and friends use Facebook as the preferred avenue of contacting me. But I also knew I had to distance myself from the bad Facebook. I decided I would not log into my account. I also decided that I could check messages or notifications via my iPod touch without seeing the newsfeed. This way I could still see if anyone tried to contact me about something important. So, I did that for the last few days. I must say, I have been quite content about this decision. Not only have I notice my joy not going away because of some silly reason but I also have more time to actually perform my daily duties and also more time for spiritual reading. Today though, I did login to see if I missed anything important. And, of course I did not. Will I go back to being a regular on Facebook? I am not sure. I sure did not miss it when I gave it up for Lent for two years in a row. I kind of like it not being a part of my daily routine. "...We exalt Christ's cross whenever we freely take it up, filled with the certainty that the ultimate meaning and fulfillment which we crave in life comes to us through this unending event. 'With the cross we are freed from the restraint of the enemy and we clutch on to the strength of salvation.' - Saint Theodorus the Estudite...'we cannot produce or give any other fruit but the fruit we have taken from the tree of life.' - St. Catherine of Siena. 'No wonder that the sign of the cross makes kings of all those reborn in Christ' - St. Leo the Great." "The saints...all loved the Cross and found in it their strength and their consolation. But...is it necessary...always to have something to suffer?...Now sickness or poverty, or again scandal or calumny, or possibly loss of money or an infirmity? Have you been calumniated, my friends? Have you been loaded with insults? Have you been wronged? So much the better! That is a good sign; do not worry; you are on the road that leads to Heaven. Do you know when you ought to be really upset? I do not know if you understand it, but it should be precisely for the opposite reason--when you have nothing to endure, when everyone esteems and respects you. Then you should feel envious of those who have the happiness of passing their lives in suffering, or contempt, or poverty. Are you forgetting, then, that at your Baptism you accepted the cross, which you must never abandon until death, and that it is the key that you will use to open the door of Heaven? Are you forgetting the words of our savior? 'If any man will come after me, let him deny himself, and take up his cross daily, and follow me.' Not for a day, not for a week, not for a year, but all our lives. The saints had a great fear of passing any time without suffering, for they looked upon it as time lost. According to St. Teresa, man is only in this world to suffer, and when he ceases to suffer, he should cease to live. St. John of the Cross asks God, with tears, to give him the grace to suffer more as a reward of all his labors. What should we conclude...from all that? Just this: Let us make a resolution to have a great respect for all the crosses, which are blessed, and which represent to us in a small way all that our God Suffered for us. Let us recall that from the Cross flow all the graces that are bestowed upon us and that as a consequence, a cross which is blessed is a source of blessings, that we should often make the Sign of the Cross on ourselves and always with great respect, and , finally, that our houses should never remain without this symbol of salvation. Source: The Sermons of the Curé of Ars. The Gospel today was Luke 7:11-17 where Jesus takes pity on a widowed mother who is burying her only son and raises him from the dead. By showing excessive grief, therefore, we offend God and help neither ourselves nor the departed. 'Yet how is it possible for a man not to grieve,' you will ask, 'when he has lost his son, or his daughter, or his wife?' I am not saying: 'Do not grieve,' but: "Do not give way to unrestrained grief.' ...Grieve, rather, for your sins. This is in truth the best kind of sorrow; this is the soundest practice of Christian teachings. Let us, then, give way to this grief continually that we may obtain joy in the life to come, by the grace and mercy of our Lord Jesus Christ. Glory be to Him for ever and ever. Amen. "Mary is our hope during life and at death. 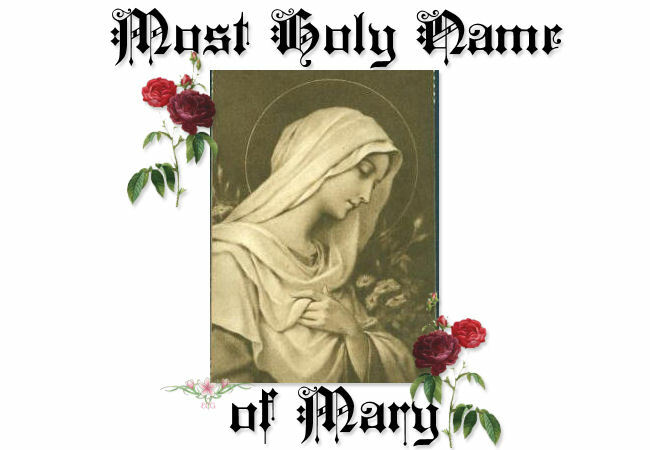 The name of Mary, the Mother of God is filled with divine graces and blessings. "...As we rejoice today under the name and protection of the Most Holy Virgin Mary, may we learn to hope in God as she always did, especially in the great affair of our eternal salvation - The Glories of Mary. Source: Conference by the Servant of God Terence Cardinal Cooke: Meditations on Mary.